Tesshin opened his talk this week by recounting a koan in which a poor monk ask a senior monk for some clothing. 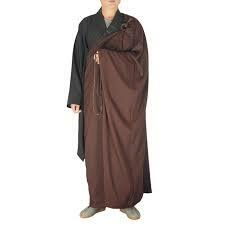 Before giving over the clothes, the senior monk asks “Who were you before your parents clothed you? The poor monk said nothing. Why was the poor monk silent? Is he stupid? Is his practice worth of the alms about to be given by the senior monk? What is this koan trying to teach? Tesshin mused on the need for silence and openness in life and in our practice. Most of us want to be active – we want to improve the world right now. Our tradition is all about saving all sentient beings, after all. What is the best way to do this? Tesshin challenged us to slow down for a moment and be silent. Can we open ourselves long enough to allow the ‘suchness’ of the world to fill us? He asked how it would be possible to accomplish anything when we are running around so fast with cluttered minds? Tesshin next cited the Diamond Sutra which described the concept of the Bodhisattva. Such a being will never rest until every sentient creature is delivered from suffering. This is anything but passive! What sets the Bodhisattva apart, however, is that it holds no preconceived concepts. The Bodhisattva is pure empathy and compassion personified. 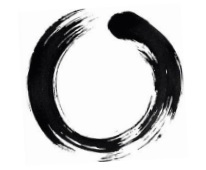 The Zen teacher, Thich Nhat Hanh, commonly advises students to “drop your story and simply listen.” The great Zen master Dogen Zenji advises us to forget the self in order to be actualized by the ten thousand things. Throughout its history, Buddhism has been clear about this “active observation” – we must slow the mind and allow the unfiltered reality to enter. Only then can one act skillfully. Think to your own life – do you judge who should be helped? Do you make distinctions between the deserving and undeserving? Are all your actions tied back to your own opinions, likes, and dislikes? Tesshin reminds us that in the unity of existence we are all flawed and as such all of these conceptions and values we hold are flawed? All we really have is unity which means that in the absolute sense, you are me and I am you. As such, I can feel empathy for you and you can feel empathy for me. This is the way of the Bodhisattva. So the first monk asks the second monk, who were you before your parents clothed you? What could he say which would not totally contaminate his deep understanding of the unity of reality. Anything he uttered would disgrace his practice. Our poor monk has dropped all concepts – even the Dharma- and was clearly reflecting all of suchness in his holy silence. He was clearly on the path of the Bodhisattva.